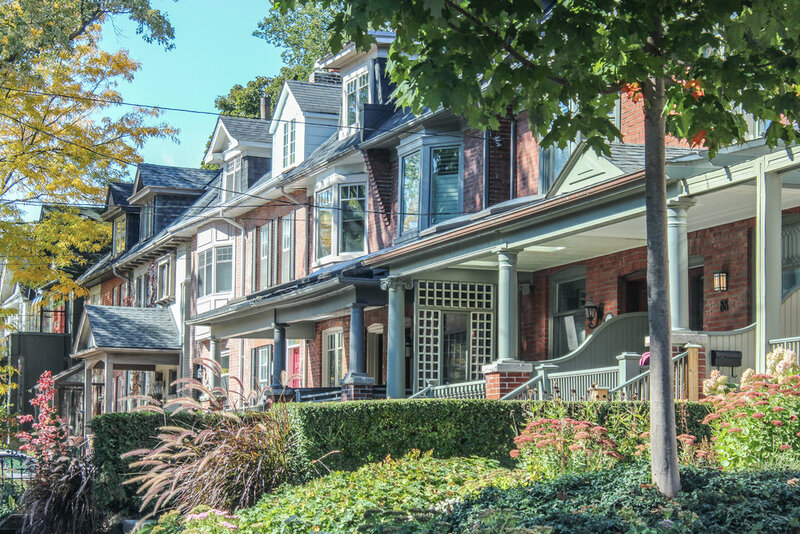 September marked a change in the Toronto residential market place. For the first time since April, the average sale price for all properties sold in the greater Toronto area actually rose. The monthly average sale price had been on a downward spiral ever since the provincial government announced the introduction of a 15 percent foreign buyers tax on April 20th. In September the average sale price came in at $775,546. September’s average sale price was 6 percent higher than August’s average sale price, and almost 3 percent higher than the average sale price achieved in September, 2016. This is a welcome change, and the first step to the resale market’s return to normalcy. Not the frenzied market that we experienced from January through April, but the 2016 market, that saw property values rise in a moderate, sustainable way. Although the market did recover in September, the recovery remains fractured, with some sub-markets out performing others. On the broadest level, the 416 area code, as a trading district, is outperforming the 905. Sales volumes for the greater Toronto area were down 35 percent compared to last year. This September 6,379 properties were reported sold, last year there were 9,830. Comparing the 416 and 905 trading areas, a different picture emerges. Whereas the overall market was o by more than 35 percent compared to last year, the 416 trading area had only declined by 29 percent. The 905 trading area did not fair as well, with sales o by almost 40 percent. The same is true for average sale prices. As indicated above, the monthly average sale price for the greater Toronto area was $775,546, up 2.6 percent compared to last year. On an unweighted basis, the average sale price for all properties sold in the 416 region increased by almost 10 percent compared to last year. In the 905 the increase was slightly less than 6 percent. So clearly the numbers emerging from the 905 region are acting as a downward drag on the results of the overall resale market place. But even within the 416 trading districts there are regional differences. Sales of detached properties were down by 41 percent in September. The volume of semi-detached properties sales was down by only 15 percent, and 23 percent for condominium apartments. Average sale prices for detached and semi-detached properties rose by 4 and 5 percent respectively compared to September 2016, whereas condominium apartment average sale price rose by 24 percent compared to last year. Notwithstanding the negative press concerning the Toronto resale market place and its “collapse”, house prices in Toronto continue to be very expensive, but given prevailing interest rates, still sustainable. In September the average price for a detached home in Toronto’s 416 region was $1,355,234. The cost of a semi-detached home was not far behind at $935,467. Even condominium apartments are becoming pricy. In September, the average price for a condominium apartment was $554,069. In Toronto’s central districts, where most of Toronto’s condominium apartment towers are located, the average price for a condominium apartment was $615,654. There were 917 sales in this category, almost 1/6 of the total inventory of properties sold in September. Notwithstanding these elevated prices, all the condominium apartments sold for 100 percent (on average) of their asking price. On the freehold side, the region just to the east of the central core, comprising the neighhourhoods known as Riverdale, Leslieville, and the Beaches, continues to trade as if the downturn experienced everywhere else in the greater Toronto area miraculously missed it. In September all detached properties in these areas sold for almost 104 percent of their asking price and in a mere 14 days. Semi-detached properties moved even faster. Semi-detached properties in these neighbourhoods sold in just over 8 days and for sale prices that exceeded the asking price by more than 105 percent. 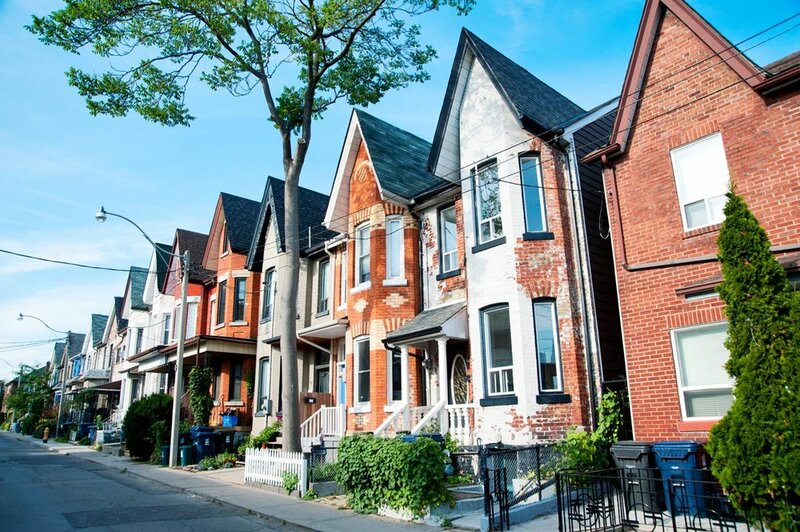 The average sale price of detached and semi-detached properties reported sold in these neighbourhoods was $1,286,000 and $928,000 respectively. Over the last 5 months the market has moved from an insane seller’s market to a more nuanced, balanced market (except of course in Riverdale, Leslieville, and the Beaches). In September, 16,469 new properties came to market, an increase of more than 9 percent compared to the 15,050 that came to market last year. At the end of September there were 19,021 properties available to buyers, a stunning increase compared to the paltry 11,255 available last year. In percentage terms, availability has increased by 69 percent, year-over-year. Needless to say, with an increase in supply, both average days on the market and months of inventory have increased dramatically. Year-over-year days on market have increased from 16 to 24 days. Months of inventory, calculated on a 12 month moving average is now 1.5 months for the greater Toronto area. Months of inventory, using September data, is more like 3 months, a much more accurate reflection of the market than the 12 month moving average. The market is normalizing. It will continue to improve moderately, as year-end approaches. Sellers hoping for the heady days of January through April will be disappointed. In addition to assimilating the impact of the foreign buyers tax, the Toronto market has had to contend with two quarter-point mortgage interest rate hikes, and potentially more to come. There is also the looming threat of additional stress testing which the Office of the Superintendent of Financial Institutions has proposed. All of these factors will have a moderating effect on the residential resale market going forward. Because TREB has continued it's weekly/mid-month stats fillabuster, Chris has created his own analysis method based on MLS data for the 416 only. As September progressed, there were more active sales and avgerage sale prices were up. As an example, b/w Sept. 22nd and 29th, the average sale price increased from about $782,000 to $809,000. Between August and September, sales volume also increased from 2480 to 2514 properties. That 2% increase coupled with an 11% increase in average sale price from August is the first time in 4 consecutive months that we've seen a positive variance in both categories. Additionally, The Bank of Canada posted yet another increase in interest rates and though the press says that may be the last we'll see before 2018, Darlene Hanley of Hanley of Hanley Mortgage Group, says they're expecting at least one more before year's end. Couple that with the new proposed stress test which, will require those paying less than 20% down to qualify at a rate of 4.94% and one would expect that sale prices won't reach the bloated values seen in April; we're still about $160-170,000 off the pace from there. So for the moment, we seem to be headed into a healthier market. However, CP Realtors working in the 416 are reporting high numbers at open houses and buyers feeling a need for more product, so at least in the 416, we're likely to continue to see market activity and sales numbers increase. Contrast that with the 905, where at least one Realtor representing a prime property had less than 4 showings in 4 weeks. The hope is that any increase in sales going into 2018 in both the 416 or 905 areas will be sustainable (in the 3-5% range) and not the 11-20% range that got us here. In a report published by CIBC, economists are coroborating Chris' sentiments for a rebounding Toronto market, siting Toronto's sale prices increasing, economic growth rates of 4.5% and lower unemployment numbers. The report indicated that 90% of home buyers are earning between $58-108,000/yr. (classified "middle-class"), and about 75% of mortgage holders made downpayments of 10% or more. An analysis run by Chris from 2010 indicates that Toronto home owners have been prudent in their housing purchases given the relative increase in average sales prices since that time and the releatively consistent interest rates from that time to today. All of this would seem to corelate with the data coming from CIBC. RBC economists however, feel that Toronto will follow Vancouver's market recovery, which only recently posted year over year gains of 22%. However Chris was quick to point out that those gains were seen before further increases in bank rates. That kind of growth would be reminiscent of April's gains which Chris called "a terrible period and not something we want to experience again". TREB announced this week that they will no longer provide weekly or mid-month reports sighting they didn't want the data to misrepresent the current state of the market. Not surprising perphaps given the way the media has used TREB stats to make big headlines and possibly influence government action. Chris has begun to put together his own set of stats, though admittedly they may not be quite up to TREB standards as they only now cover the Central, East and Western districts of the GTA which don't take into account the numbers in the 905. Not wholly accurate but at least reflective of true Toronto prices. Though only one of two instances in our CP offices where deals have failed to close, a deal in Muskoka went south when the buyer failed to complete an inspection condition and didn't deliver the deposit within 24 hours of acceptance. In this instance, many Realtors may feel that a mutual-release from the contract would be best however, our on-staff lawyers, Richard Stewart and Chris Kapches disagree. As a breach of contract has clearly transpired and the sellers ability to re-market the property and potentially lose money on it's subsequent sale, there are clearly grounds to sue on breach of contract. As a better solution to the problem, a Notice of Default was instead issued and a clause for a non-refundable deposit was included in the deal. IS RBC'S MORTGAGE PORTFOLIO CAUSE FOR CONCERN? Citing an article from the Globe and Mail, Chris detailed how RBC's CEO assesses their risk in the mortgage market. A fascinating look into what many rarely glimpse, Dave McKay doesn't seem concerned about the over $100B in uninsured mortgages or the $106B in insured mortgages that, should they default, be the responsibility of the Canadian government to bail-out. Find out more about how RBC heges their mortgage bets. To keep our clients better informed of the Toronto market, we're initiating this weekly instalment on our blog. The CP Weekly Meeting Highlights will summarize the most salient information from our weekly office meetings, headed by Real Estate veteran, lawyer and all around good guy, Chestnut Park's Broker of Record Chris Kapches. We are doing this as we feel that the media is giving a very one-sided perspective of market activity and seems to focus on the GTA statistics rather than Toronto specifically. Though this topic wasn't addressed at this week's meeting, it has been a central theme to discussions of market activity over the summer months. Measures taken by the government, coupled with already inflated prices, an over-abundance of inventory and negative news in the media have all combined to give us the market we're currently in. Buyers felt the market had further room to decline, while many sellers felt they should still be getting the prices we were experiencing up to mid-April; when prices were at their peak. Today, the media continued this trend as it posted declines of 40% in "Toronto" despite these numbers reflecting price declines throughout the entire GTA, which, includes areas like Richmond Hill and Mississauga. This lack of specificity has led many to believe similar declines have been experienced in the City of Toronto proper, when in fact, this just isn't the case. As an example, in July inventory levels were sighted as increasing by 30-40% when in fact the numbers in the City of Toronto were closer to 2%. Whether these skewed stats will continue to contribute to an already confounded public remains to be seen. As our meeting was held yesterday and full numbers were not yet published, Chris was looking at the market based on stats from August up to that point. Now having the official numbers for the month, we've seen a small increase in the number of sales through the month of August; . However, it appears as though we will continue to see a negative variance in sales prices and numbers for the month of August b/w 35 - 38% in the GTA. One thing that seems certain however is that the market appears to have stabilized from the large dip starting in June. The average sale across all housing types in the GTA, price came in at $732,292, which is actually a rise of 3% over August 2016, but a decline from July's average of $746,033. Despite this plateau in price declines, we will continue to see negative variances throughout the next 12 months, simply because stats for declines are done year over year. If we can see a move to an annualized appreciation in values to the 5-7% mark, the market could be considered as being strong and healthy. Chris has some added concerns regarding Canada's annualized rate of expansion (based on the last quarter) coming in at 4.5%, making Canada the fastest growing economy in the G7. How this impacts interest rates going forward is the big question, and how that rate hike will impact the housing market; the expectation would be a rate of 3.5%. This could effectively eliminate buyers at the low-end of the housing spectrum. Compounding that problem is that the most affordable housing product for that population is condominium apartments; a product that already has very little in terms of inventory. The increase is likely to come out in late October as opposed to this week. We will have a clearer picture of the market once numbers for September come in. From the response in the office, we are likely to see an increase in inventory in the Toronto (read 416) area over the month. For more valuable information about the Toronto housing market, sign up for our monthly newsletter via the form on the right of this page. If you would like to know what houses like yours are selling for in your area, sign up for our free reports here. As reported by Houzz.com, Netflix is set to release a new documentary all about design. From architecture to industrial design and almost everything in between, the first 8 episodes will focus on professionals in the industry who've made a mark on modern design. Come and experience celebrity style on King West! This stylish and updated suite inside TIFF's Festival Tower features 1250 square feet of sleek and immaculate space. Step into a corner suite with the best layout in the building. Features include an upgraded Miele stainless steel kitchen, 9 ft. ceilings, a Control 4 home automation and security system and rich dark hardwoods throughout. Bright and spacious, the entire suite is modern and sleek to accommodate the young professional, down-sizer or new family. The split bedroom layout gives you access to spectacular views of the surrounding cityscape in almost all directions, the CN-Tower and Toronto's Lakefront . Take a relaxing swim in the spa-like indoor pool or get a quick work-out in the gym. If you don't care to venture outdoors, the private theatre, library and billiards room offer some great indoor R&R options. For the business professional, the conference room, and guest suites make business for the traveller easy and accessible. Finally, with immediate access to the class-A restaurants and live theatres of King St. along with the shortest walk to TIFF's LightBox theatre, you'll want for nothing. At $4450/month, this suite won't last long. Contact Susan Glenn or Jeremy Glenn for more information. New mortgage rules have been put in place to try to tame the continued rise in house prices, and dwindling inventory in both Toronto and the GTA. We'll likely have to wait until at least November to see what impact these measures will have on a market that's already dwindling in it's supply (about 1.3 - 1.6 months). As this infographic shows, the market remains bullish and shows little sign of slow down at this point. 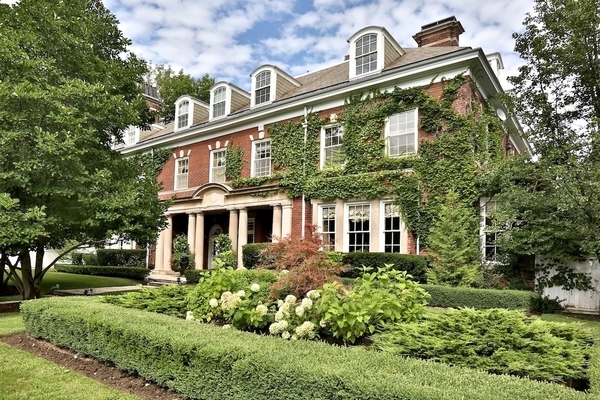 We've just listed a fantastic property in the central core of Toronto. 37 Farnham Ave. is a detached, 4 bedroom home featuring an open design, modern accents and a finished basement including a walk-out to the back yard and a nanny suite. This home is perfect for the busy, growing family wanting access to the downtown lifestyle without having to compromise on space or location. You're a short walk to all of the shops and restaurants on Yonge St., TTC access at either Summerhill or St. Clair, parks, gyms and much more. The fabulous back yard offers 3 decks and ample space with a wonderful view of the city. A combination of classic charm and modern design in the heart of the city. Architectual plans have already been drawn up to expand the 2nd and 3rd floors. Please contact either Susan or Jeremy today to see this fantastic piece of Toronto Real Estate before it's gone. To me luxury is something that you don’t have to scream about because you can see it and feel it. It starts with a creative, unique design that is executed with quality workmanship and the finest materials and attention to the smallest details. The luxury is reflected in the pride that was taken in creating the “art form” whatever it might be. Whether you are talking about a purse, a dress, a pair of shoes or a new condo project, they’re all a form of art.